Trastevere, pronounced “tras-TEH-ve-ray”, is rione XIII of Rome, otherwise known as its 13th District and means literally, “beyond the Tiber.” Very rich in history, Trastevere was captured by the Romans during their Regal Period (753-509 B.C.) to gain access and control of the waterway on both sides of the river. Since it was solely a strategic move, Romans were not interested in building on that side of the river and Trastevere was left to flourish by its own means. Fisherman began to settle on that side of the river along with immigrants coming from the East. Since the outpost was mostly ignored by the Romans, citizens of Trastevere developed a culture all their own which allowed it to become the unique, eclectic city it is today. 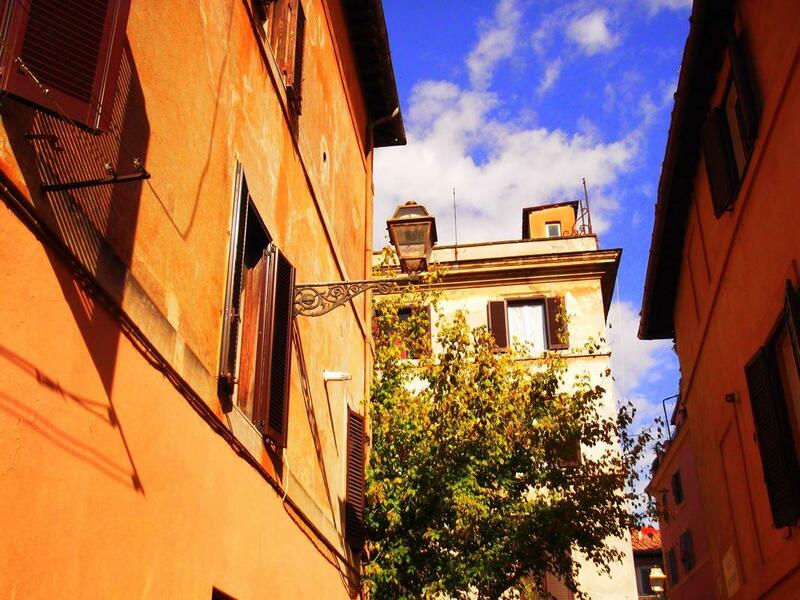 Trastevere with it’s narrow, winding streets, diversity of nightlife and hidden archaeological gems, now houses an international body of artists, students and expatriates who love the area’s rich scenery and abundant secrets. 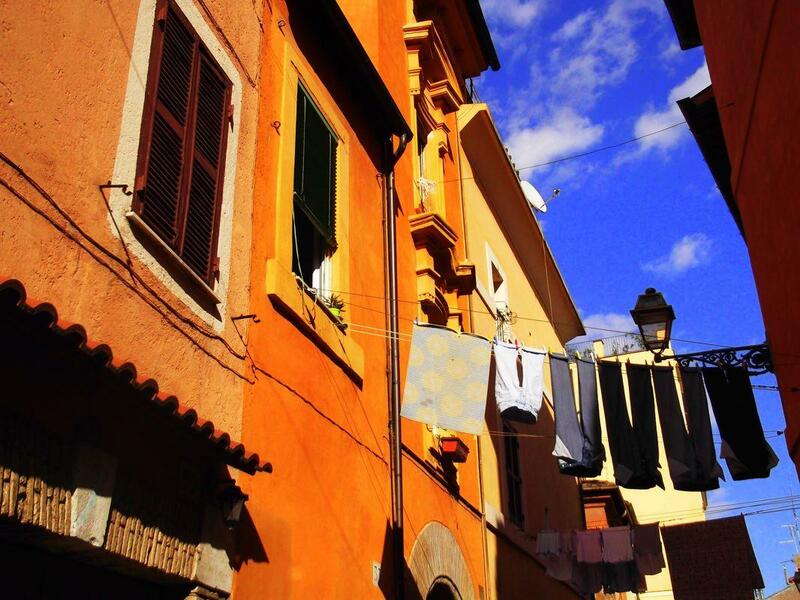 With Rome’s rich and abundant history it is difficult to walk along the street without running into some historical landmark and Trastevere is no exception.The history in Trastevere is hiding around every corner, all you have to do is take a walk. For instance, nestled a few blocks away from the river on Via di San Michele lies the angelically ornate Church of Santa Cecilia. 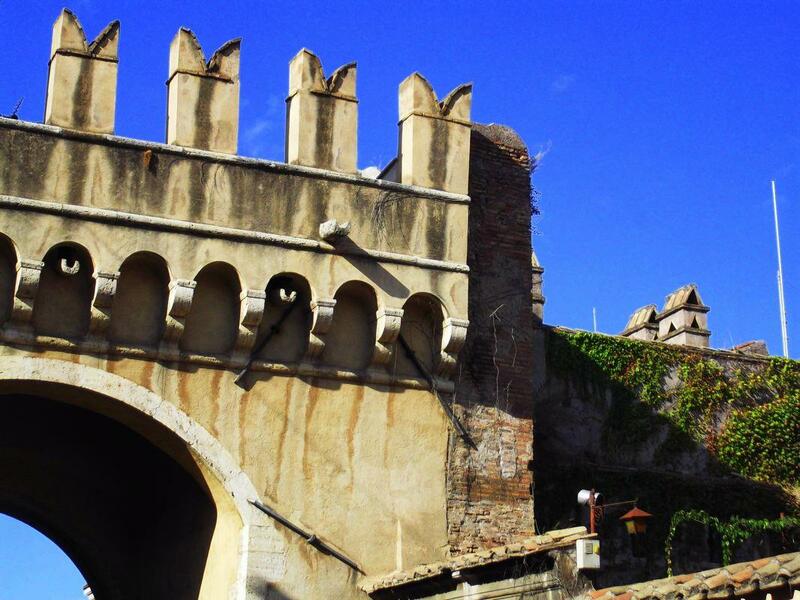 This historical landmark is decorated with beautiful frescoes and ancient mosaics and a courtyard that features a fountain with a cantharus or water vessel that lights up at night. The Church of Santa Cecilia also hides behind it’s walls a sculpture dedicated to the martyr, Santa Cecilia, depicting her incorruptibility. It is said, that when her tomb was opened centuries later, her body still contained congealed blood. 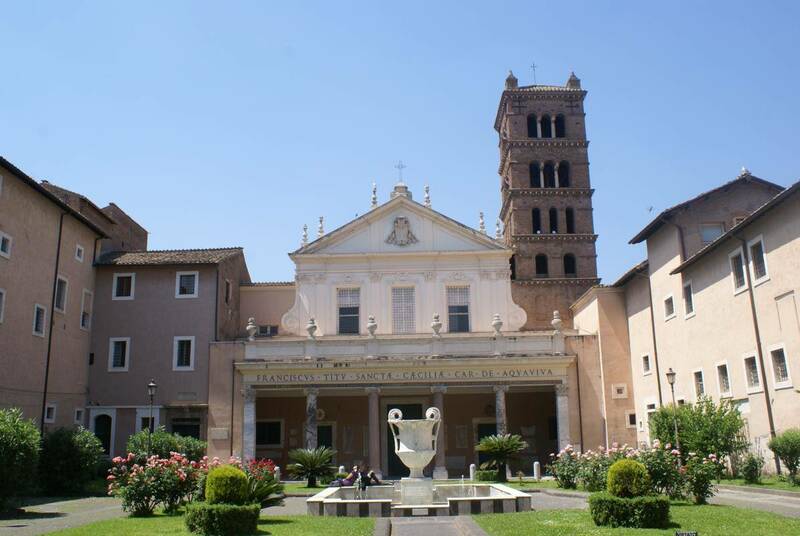 The depiction of this miracle is only one of the many attractions of its nature in Trastevere. 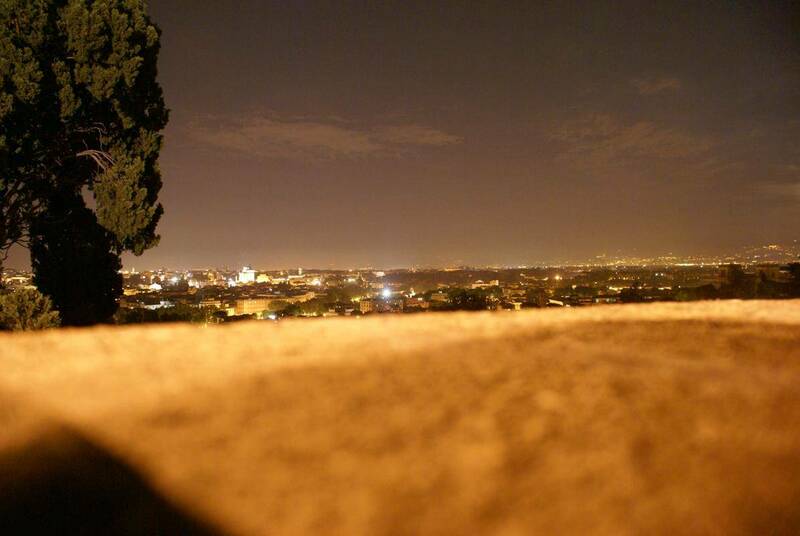 Trastevere is also home to the infamous Gianicolo, also known as Janiculum Hill. 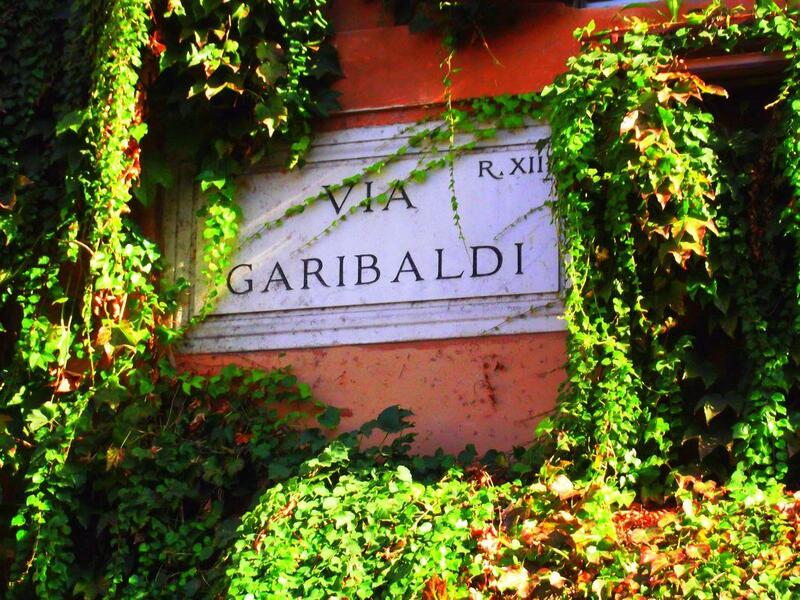 Though not one of the Seven Hills of Rome, Janiculum Hill’s peak takes you high above Rome and the sight from this vantage point will make you wish you had a better camera. 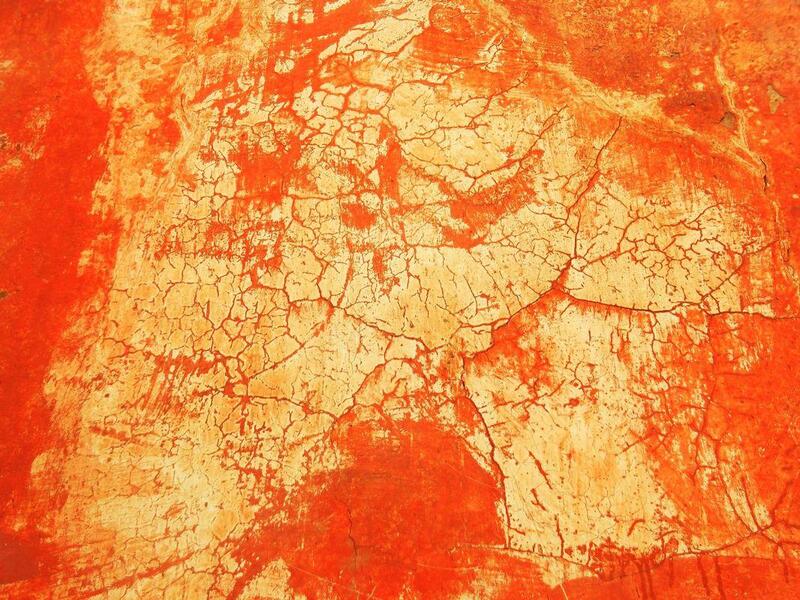 The hill first became notorious in Ancient Rome as a place where priests came to read the omens of the flight of birds, from which they would divine the outcome of undertakings in the city whether for war or commerce. There are many occurrences that have taken place at Janiculum Hill, but it is most famous as the sight of a battle between troops under Giuseppe Garibaldi’s command against the French who were here to restore papal order.Greatly outnumbered, Giuseppe Garibaldi was able to hold out against the French for weeks before finally being overwhelmed by the arrival of French reinforcements. 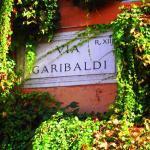 Janiculum Hill now has several monuments dedicated to Garibaldi and his troops that fell to protect the Roman Republic. If you listen closely at noon every day, Janiculum Hill will sound the cannon that was used to alert surrounding bell towers to ring as it was midday. This is a ritual that has been held to since 1847 with only a twenty year interruption and the sounding of the canon now commemorates many festivities as well, including in 2011 when it let out a 150 canon salute to celebrate the 150th anniversary of Rome. 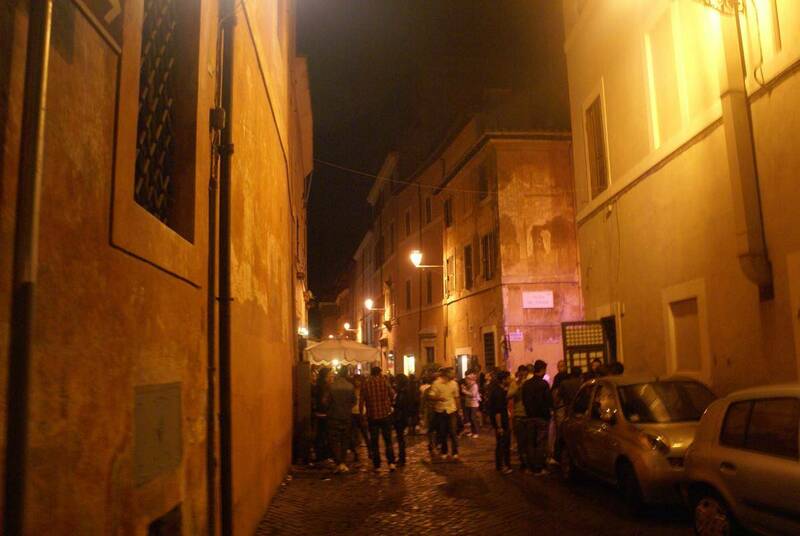 When the sun goes down, that does not mean that the fun that Trastevere has to offer will stop. Trastevere hosts plenty of nightlife. 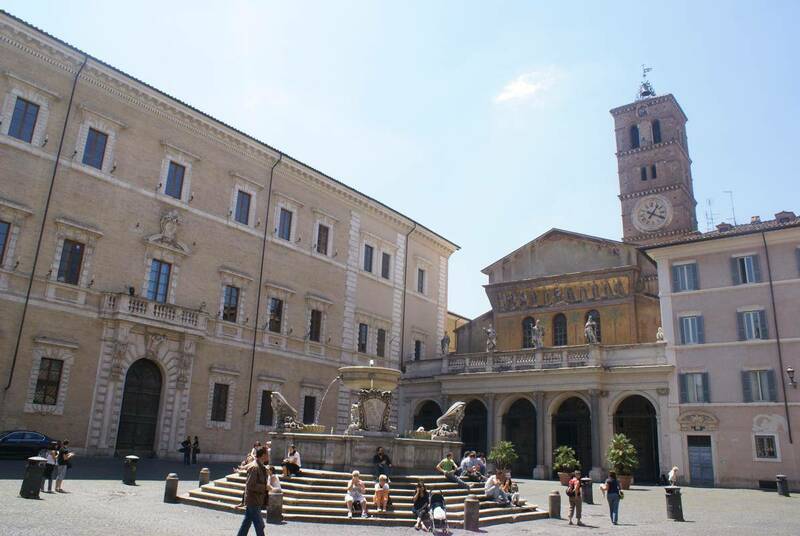 Whether you would like to sit in the piazza and catch up with friends, enjoy listening to live music or visiting the plethora of various bars and restaurants, Trastevere has just as much going on at night as it does during the day. Big Mama, a club opened in 1984, offers daily live music in a variety of blues, jazz, rock and ethnic stylings. Named “Home of the Blues in Rome”, Big Mama (Vicolo San Francesco a Ripa,18)is considered one of the best places to listen to live music.With open seating for up to 150 people, an extensive cocktail bar and a light menu if you choose to dine, Big Mama hosts a music scene barely rivaled anywhere else. 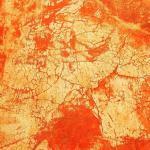 Big Mama showcases aspiring young and new artists from around the world and is renowned for its diverse musical atmosphere so be prepared to hear rare and eclectic international sounds. In the center of Trastevere sits Freni e Frizioni, a trendy cocktail bar which at one time in the past was a car repair shop; Freni e Frizioni (Via del Politeama, 4) overlooks the Politeama Square and offers outdoor seating to enjoy the sun setting over the piazza. Freni e Frizioni offers a relaxed, vintage atmosphere in a contemporary setting. With vintage furniture and contemporary art on the walls, Freni e Frizioni has quickly become one of the “cool” places to hang out while spending time in the city. 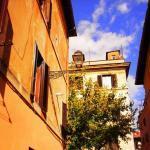 Restaurants in Trastevere: The real Roman food! 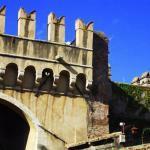 T here are few restaurants in Trastevere that provide authentic Roman food. These restaurants, favored by the locals, give you a real taste of what it is like to dine as a Roman with original and classic dishes that you will not find anywhere else. As always, the main dish is pasta but originality and variations on this prized custom dish abound. With that said it is quality that is not always easy to find. These are just a few restaurants that have proven themselves time after time to deliver high quality, authenticity and leave you satisfied, in your stomach and your wallet. Checco er Carettiere (Via Benedetta, 10), or Checco and Carriage, is a restaurant you absolutely must try if you want quality, authentic Roman cuisine. Checco er Carettiere has a substantial menu full of enticing dishes; but locals favor only a few.Fritto romano ( a variety of fried delicacies) along with some puntarelle (a typical roman vegetable mixed up with a delicious anchoves sauce) is an appetizing way to get started on your authentic Roman dinner as both of these dishes are favored highly among the locals. When you are ready for a main course, Amatriciana or Carbonara are both good choices. Both dishes are based around pasta, bacon and cheese, but the difference in taste is something quite unexpected. Originality and authenticity are the two key ingredients to an amazing Italian dinner, and both are provided here in ample supply. There are few restaurants that rival Checco er Carretiere; but Osteria Zi Mberto is one of them.Osteria Zi Mberto (Piazza San Giovanni della Malva, 14/b) provides a relaxed atmosphere and the amatriciana here reigns supreme. 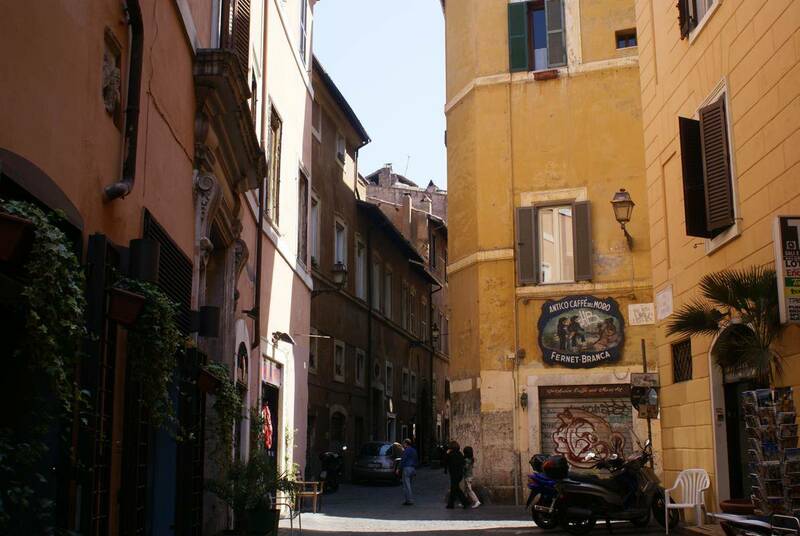 Located in the heart of Trastevere in Piazza della Malva, this restuarant provides typical dishes at a fair price. If you are looking to sit down and enjoy a pizza at a relatively quiet restaurant, The Mirror, located at Piazza Sidney Sonnino, 4 is a great choice. The Mirror offers outdoor seating looking over the piazza right off of Viale Trastevere and the pizza here is fantastic. The atmosphere is very relaxed and you will find time slipping by as you enjoy a delicious meal for two under 20 euro. 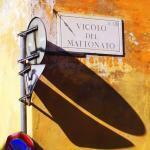 “Ai Marmi” (Viale di Trastevere, 53-59.) or For the Marbles, is one of the best pizza places in the city. A diamond in the rough, this pizzeria offers great quality at a fair price. “Ai Marmi” is renowned for its taste so the restaurant is usually crowded; but the line moves swiftly. If you are looking for a quiet couples dinner, you should search elsewhere but for a quick bite to eat with a friend and a beer, this place is top notch and located on Viale Trastevere which adds to the convenience of hopping in, and hopping out. 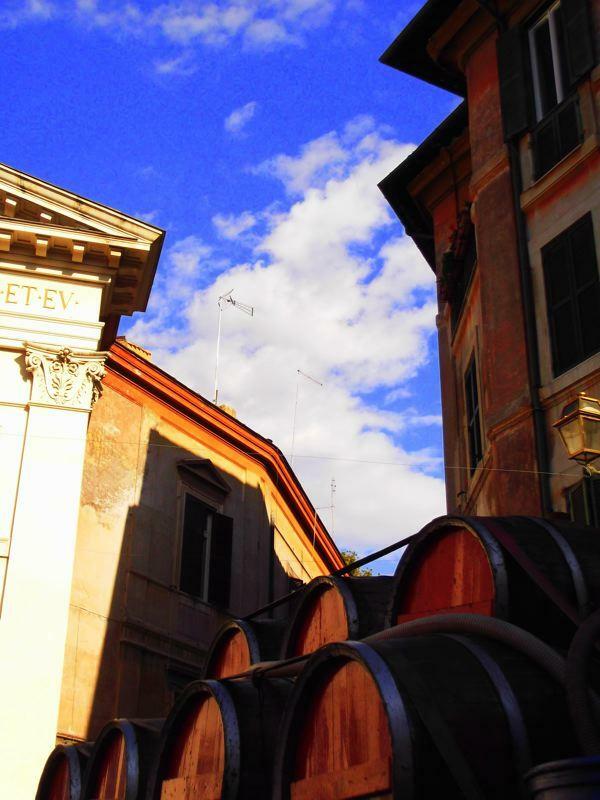 Trastevere, with its rich multi-cultural roots, offers the same in its food choice. Here is one of the only places in Rome where you will find Indonesian cuisine at Bali (on Via del Mattonato, 29) located right next door to Trattorria da Lucia da Lucia (Vicolo del Mattonato, 2); a traditional Italian restaurant. You may have Indian food at Jaipur (Via San Francesco a Ripa, 56) or Japanese at Sumo (Via G. Mameli, 5). Trastevere offers a diversity of cuisine, restaurant and bars to settle any appetite whether it is for a fun night out or a romantic getaway. Check out the list and map below for more information on restaurants, venues and historical landmarks. 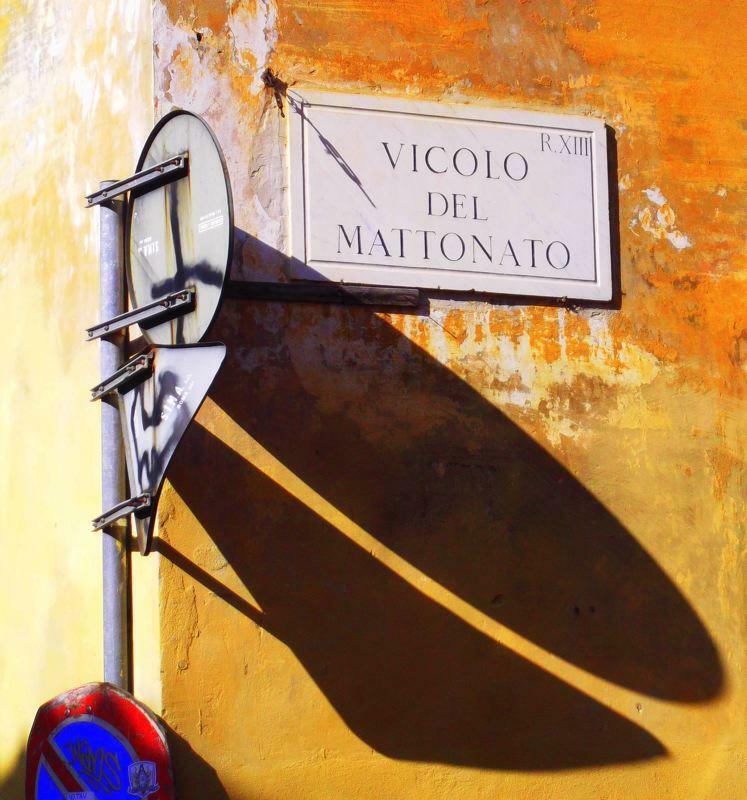 Be warned that streets of Trastevere are very small and winding which add to the charm, but hinder your sense of direction. A map is very important to take with you though the locals are very friendly and will not mind pointing you in the right direction. 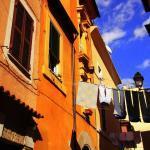 There is a lot to take in so enjoy exploring the beautiful Trastevere and all it has to offer. “Zi’ Umberto” , Piazza della Malva 11. Amazing ‘bucatini alla Matriciana’. 25.00-35.00 for a meal, credit cards accepted. Typical Roman cuisine. “Enoteca Ferrara”, Via del Moro 1/a, Piazza Trilussa n. 41, tel. 065803769. 50.00-70.00 for a meal, credit cards accepted. In old Trastevere area, classic/ typical Roman cuisine. “Trattoria da Augusto” Piazza de’Renzi 15, tel. 065803798. 25.00-45.00 for a meal, credit cards not accepted. Typical Roman cuisine. “Antica Pesa”, Via Garibaldi 18, tel. 065809236. Closed on Monday at lunch. 60.00-90.00 for a meal, credit cards accepted. Air conditioning. Typical Roman cuisine, seafood dishes, pasta. “Ai Marmi”, Viale Trastevere 53/59, tel. 065800919. Closed on Monday and every day at lunch. 15.00-30.00 for a meal, credit cards not accepted. “Da Gildo” Via della Scala 31a, tel. 065800733. Closed on Wednesday in winter, rest of the year closed on Sunday. Approx 20.00 for a meal (13.00 for pizza and salad). Creative salads and pizzas. “Enoteca Ferrara” Piazza Trilussa 41, tel. 0658333920. Closed on Sunday in summer, on Tuesday in winter. About 250 choices of wines, also restaurant (reservations adviced). “Ombre Rosse Café” Piazza di S. Egidio 12, tel. 065884155. Open from 7.30am to 2am, closed on Sunday morning. Cocktail bar and tea room. “Lettere Café” Via S. Francesco a Ripa 100, tel 0658334379. Open from 2pm to 2am. Café, library bistrot, tea room, films on request. “Nuovo Sacher” Largo Ascianghi 1, tel. 065818116. Films also in original language, reading room and café. “Pasquino” Piazza S. Egidio 10, tel. 065815208. Films in original language. 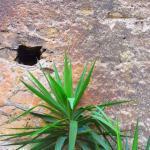 “Intrastevere” Vicolo Moroni 3, tel. 065884230. “Big Mama” Vicolo San Francesco a Ripa 18, tel. 065812551. Open from 9pm to 1.30am. Closed on Monday. Monthly pass 6.00 euros. Historical spot for the blues. Jazz, rock and funk every evening. Also restaurant. “Big Hilda Café” Vicolo del cinque 33. Open from 6.30pm to 2am, on Sunday from 12am to 2am. Wines and beers, also restaurant. 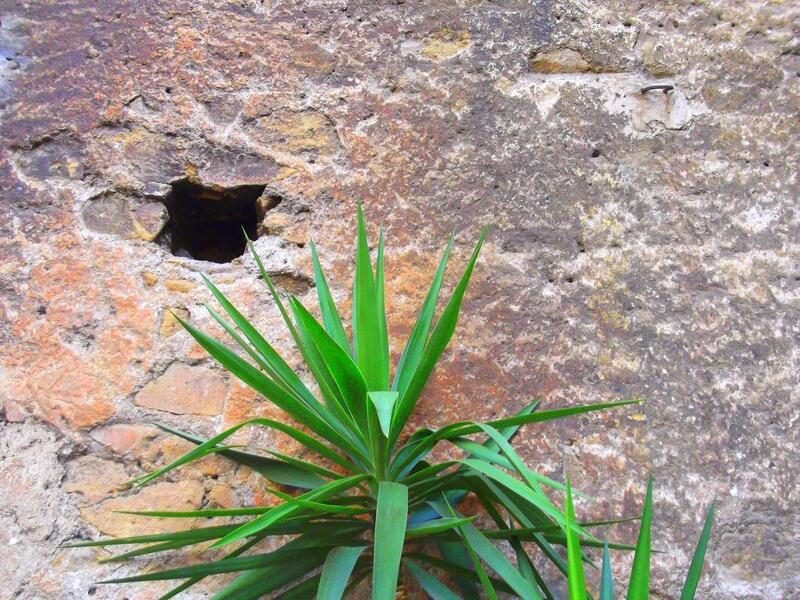 “La mescita” Piazza Trilussa 41, tel. 0658333920. Open from 6 pm to 2 am. Refined and international atmosphere.Caffé della Scala Via della Scala 4, tel. 065803610. Open from 4.30pm to 2am. Tea room and cocktail bar, soft atmosphere. “The corner Bookshop” Via del Moro 48, tel. 065836942. Closed on Monday morning. “Bibli” Via dei Fienaroli 27/28, tel. 065884097. Open from 11am to midnight every day except Monday. Also cinema, live music, tea room. 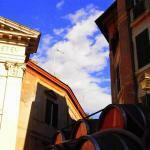 Piazza San Cosimato Open from 6am to 1.30pm. Closed on Sunday. High quality food market. Piazza di Porta Portese (or from Piazza Ippolito Nievo) Open from 5am to 2pm, Sundays only. Rome’s biggest and most famous market. “Despar” Via San Bartolomeo de Vaccinari 78. Open Mon-Sat from 8 am to 9 pm, Sun from 9 am to 9 pm. 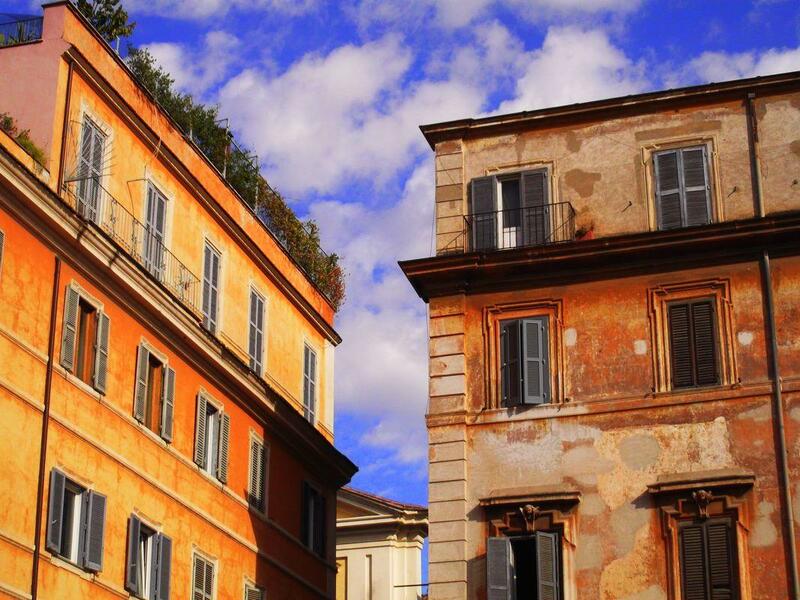 Romeloft offers you a beautiful selection of lofts and apartments in Trastevere. 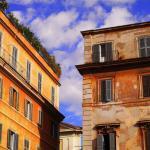 Fully furnished short term rental aparments in Rome’s center that meet a high quality standard. 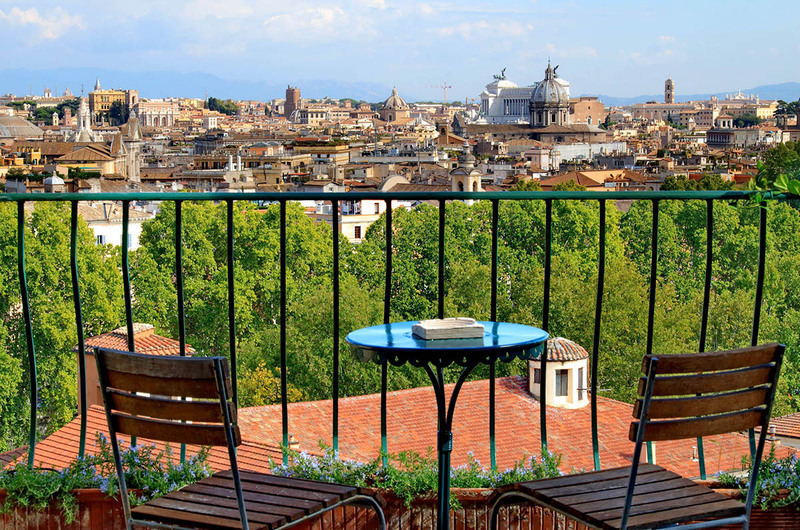 We strive to provide you stunning apartments in the best locations in Trastevere. Sheets and linens are included, so you really have very little excuse for choosing an hotel instead. Most of the apartments have wireless internet access too. We strive to ensure the maximum accuracy of the published information, so please take time to read thoroughly the apartment descriptions.